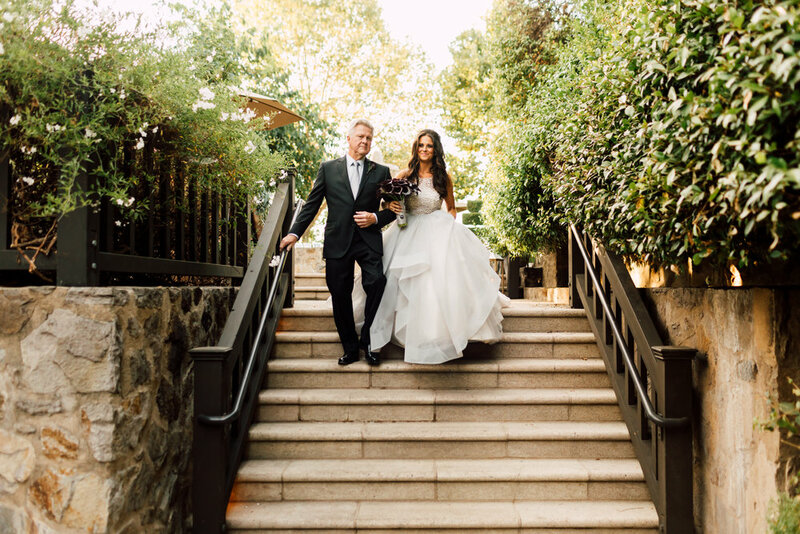 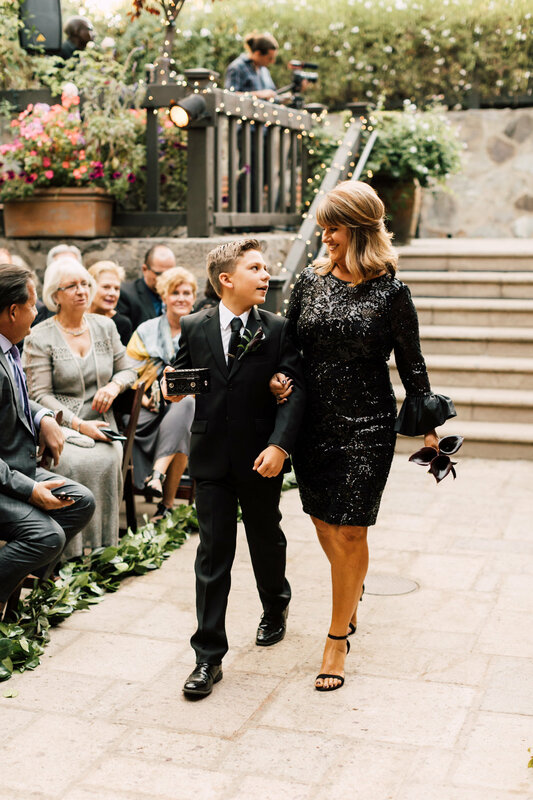 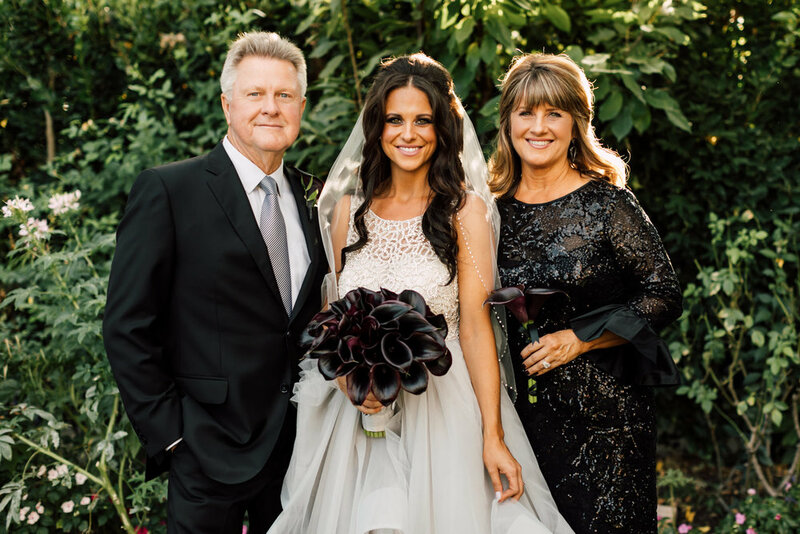 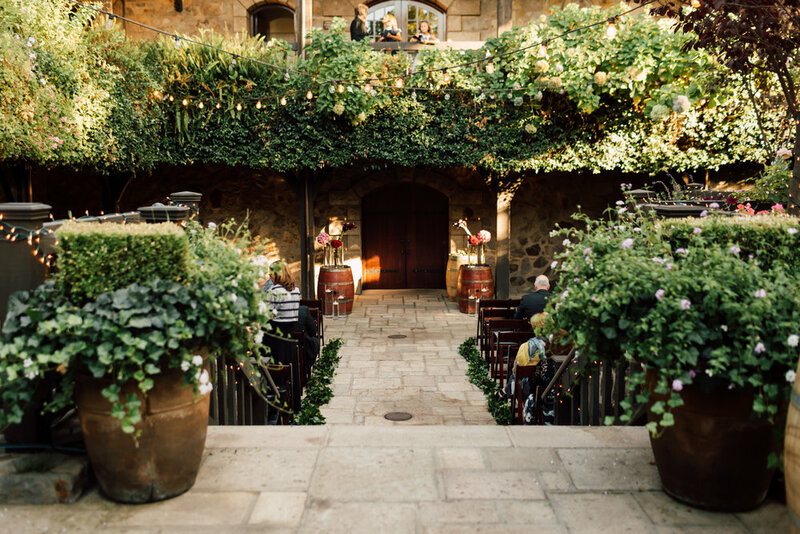 V. Sattui Winery in Saint Helena California is the perfect venue for this dark gothic wedding, with it's rustic charm, lush landscape and award wining wines. 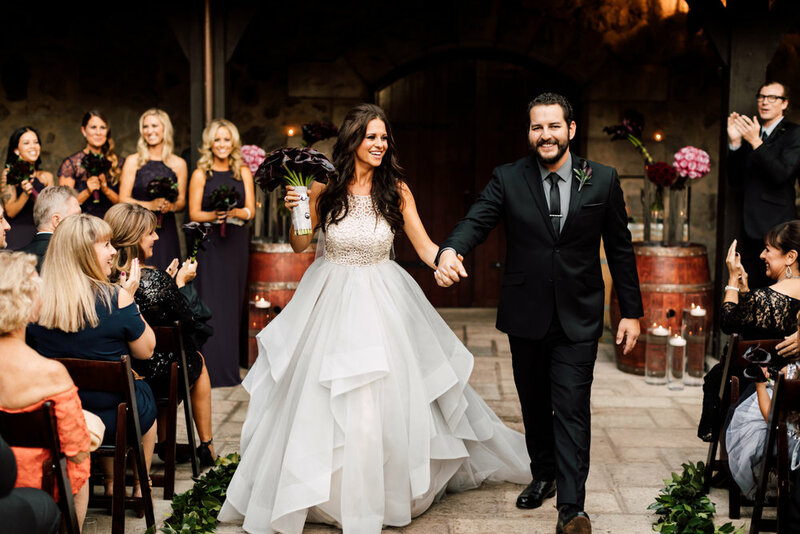 This bride has a unique vision for her perfect wedding day. 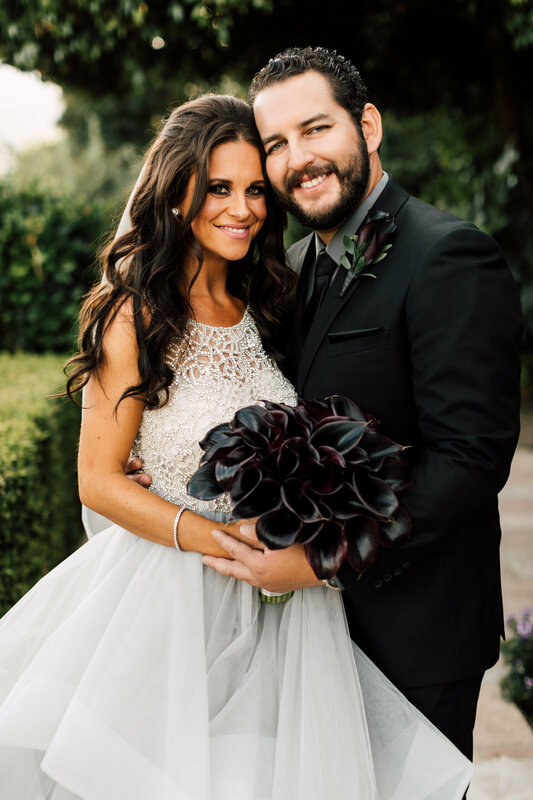 Dark colors and candle light combined with modern style created a romantic gothic wedding. 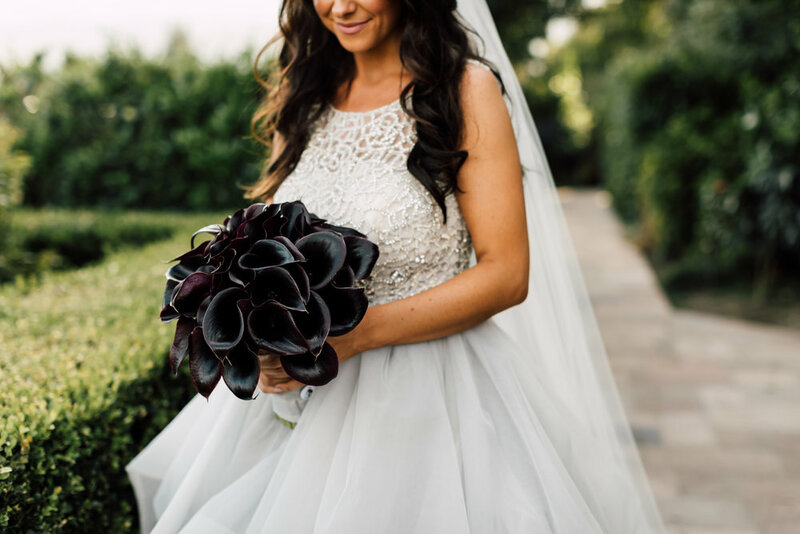 The bride wore a stunning silver wedding dress and carried a black calla lily bouquet. 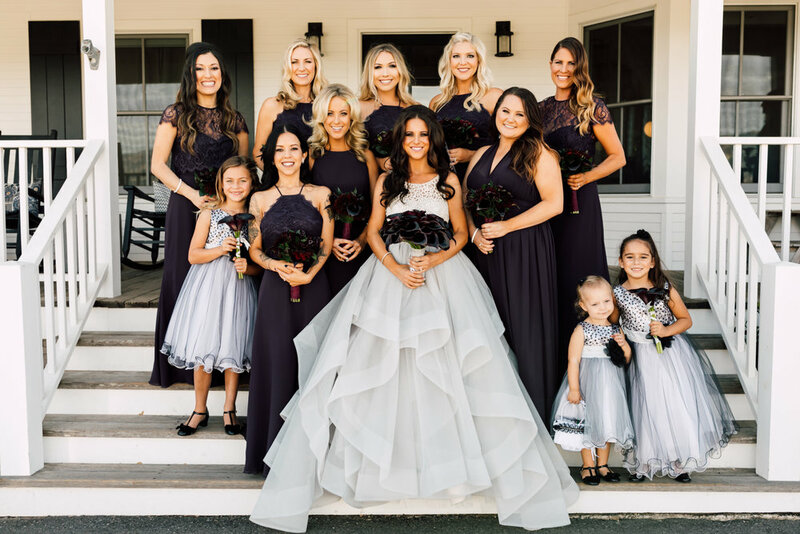 Her bridesmaids wore deep eggplant dresses and carried lovely dark bouquets of black callas, scabiosa, ball dahlias and dark greenery. 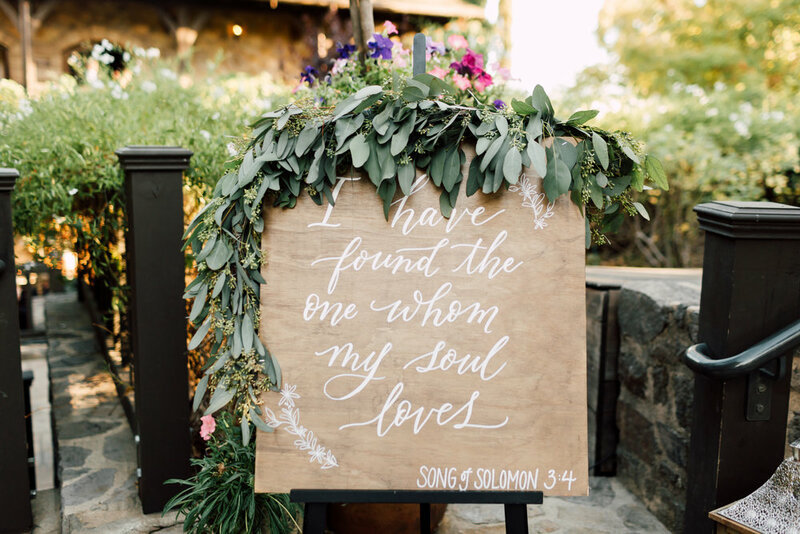 The outdoor ceremony had elegant modern cylinder arrangements and lush dark green garland down the aisle. 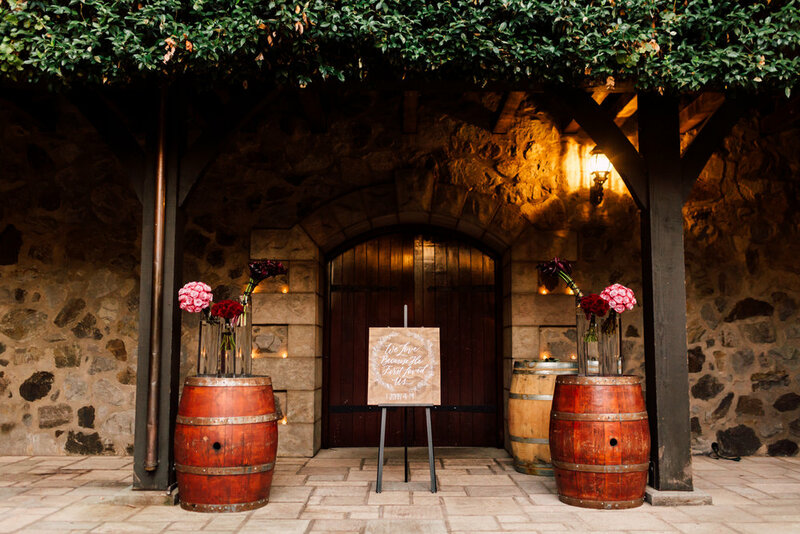 The reception held inside the barrel room was perfect with dark centerpieces silver linens and romantic candle light. 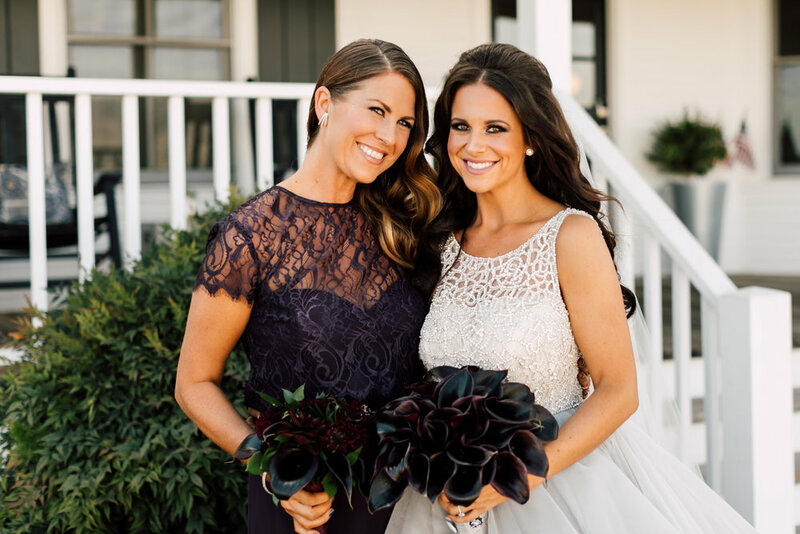 The photos were captured by Elyse Whall at Plum & Oak Photography.